The usual Bohemian Rapsody, Staying Alive and Abba mixed in with up-to-date music, laser lights and a smoke machine was provided by Cdt Kennel and friend resulting in a good night for the final meeting night of 2009. Have a very Merry Christmas and a Happy New Year and we will see you all next year! See the online notice board for details. We would welcome any comments or suggestions for next year’s events or things that you would like to do – please ‘leave a comment’ below or use the contact form here >. 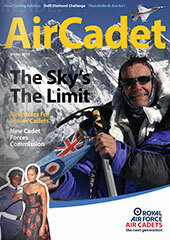 Categories: Manningtree Air Cadets | Permalink.